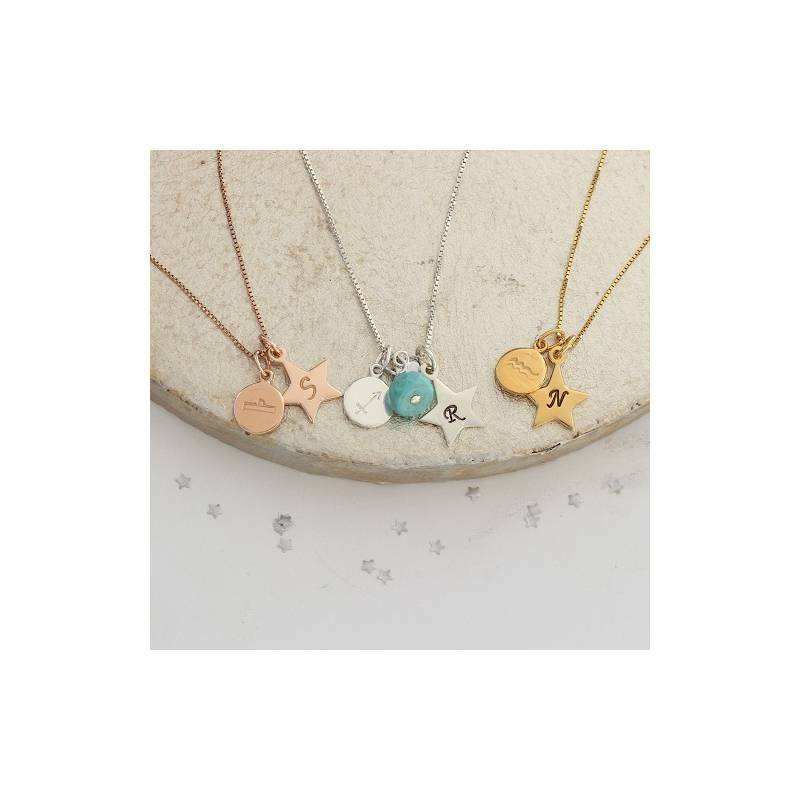 Inspired by the sun, the planets, and the 12 signs of the zodiac, the Zodiac Disc & Star Initial Charm Necklace is a personalised masterpiece for the modern woman. 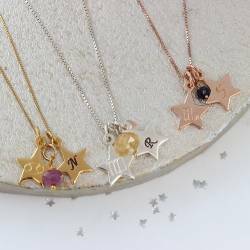 Expertly handcrafted and made to order, it is offered in silver, rose gold and yellow gold vermeil to suit every taste, and it can be customised with any star sign, birthstone and initial to create a one-of-a-kind gift. 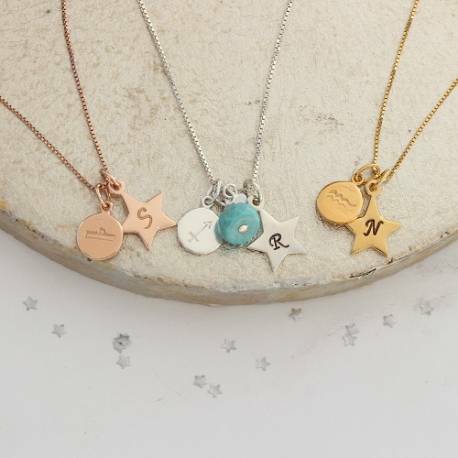 A fabulous birthday treat for those who read their horoscopes daily, the Zodiac Personalised Charm Necklace features two stunning charms, a disc and star, and there is the option to add a colourful gemstone that corresponds with the star sign you have chosen. 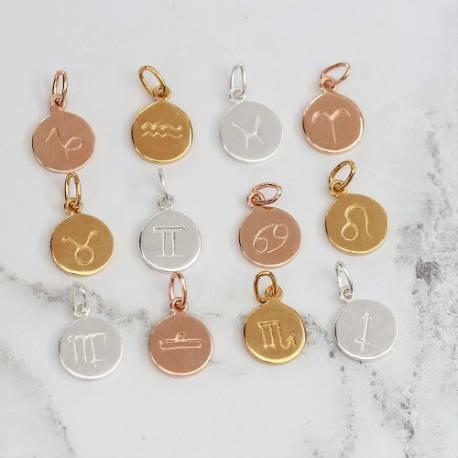 The Zodiac disc charm isapproximately .9cm with the loop it hangs approx 1.5cm from the chain. 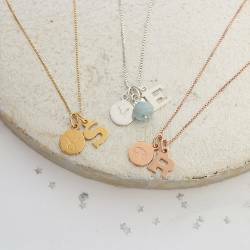 The star charm is approximately is approx. 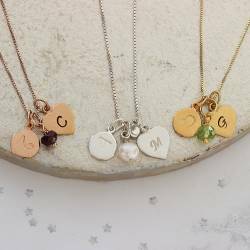 1.2cm across and hangs approx. 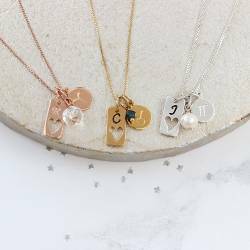 1.6cm from chain.